Meetapalooza is the Organizational Monster of meetings who feasts on individual bad meetings or a culture that generates a plethora of bad meetings. 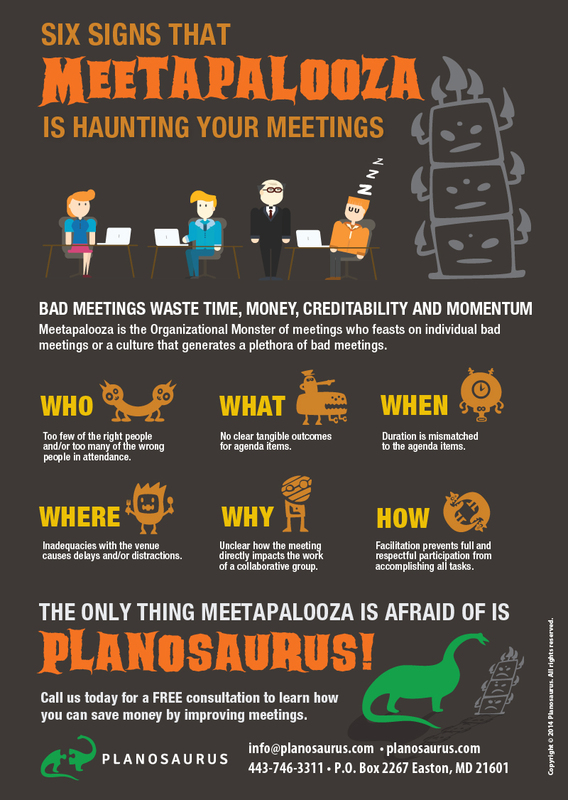 Meetapalooza is afraid of Planosaurus and with good reason as we help organizations use meetings as a tool to further the work of collaborative groups. Once we assess why meetings aren’t effective and efficient, we provide a host of simple solutions designed to ensure meetings provide value instead of consuming it. Check out this Halloween themed meeting infographic and make sure these signs don’t look too familiar. Click infographic to download a PDF version of this infographic, click here. 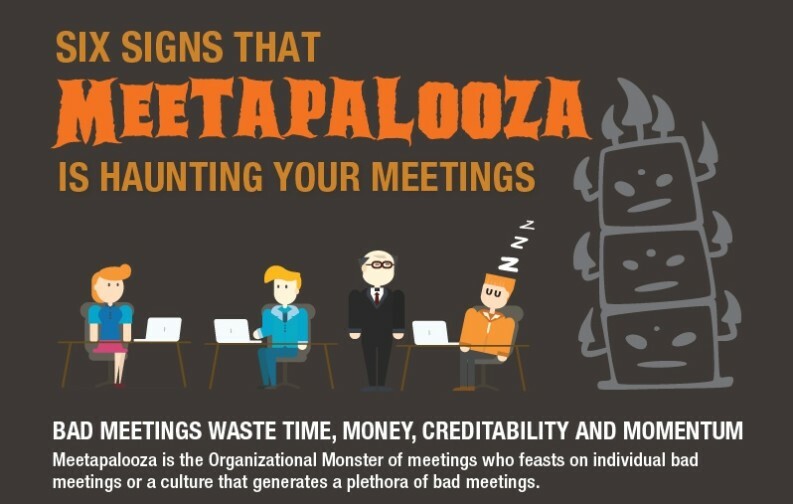 This Infographic introduces the six ways that Meetapalooza haunts your meetings. Too few of the right people and/or too many of the wrong people in attendance. No clear tangible outcomes for agenda items. Duration is mismatched to the agenda items. Inadequacies with the venue causes delays and/or distractions. Unclear how the meeting directly impacts the work of a collaborative group. Facilitation prevents full and respectful participation from accomplishing all tasks. To learn more about how Planosaurus can help your organization get a better return on investment for meetings, contact us today.